Foreign businessmen who want to open a company in Georgia can select one of the company types that are prescribed under the country’s national legislation. The investors may choose between companies with limited liability, joint stock companies or partnerships. The partnerships that can be set up in Georgia are available as limited partnerships or general partnerships. Also, foreign companies may enter the local market by opening a subsidiary or a branch office and our team of specialists in company registration in Georgia can provide in-depth assistance on these business structures. 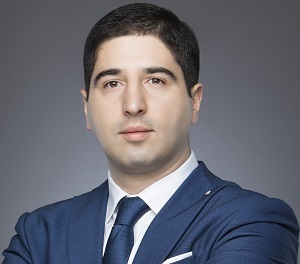 How can an investor register a Georgian company? 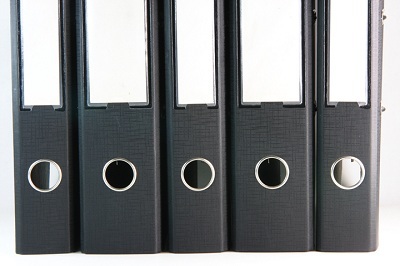 • documents regarding each member of the supervisory board and management board. The application must be accompanied by the charter of company, the documents showing the value of the contributions made in kind, a proof from the Information Center of the Ministry of Internal Affairs that the persons appointed to represent the company are not subject to penalty for proprietary offences, the documents of appointment of the directors and members of the councils. If necessary, all the documents must be accompanied by the notarized and legalized translation into Georgian. A registration fee must be paid before the company is registered in the Entrepreneurial Register. After submitting all the above mentioned documents along with the proof of registration fee payment, the company will receive an identification number and a certificate of state and a tax registration; our team of specialists in company formation in Georgia can provide more details related to this matter. The fee ranges from GEL 100 in the situation of the standard registration, but the investors may opt for a faster registration, in which case they will have to pay a fee of GEL 200. The last step before starting the actual economical activity is opening a bank account. The registration with the National Agency of the Public Registry lasts 1-2 days. Why register a Georgian limited liability company? • the registration of this business form can last approximately two weeks. What are other popular business forms in Georgia? The joint stock companies are business forms with the capital divided into shares with equal nominal value and this type of legal entity can be registered with more than 50 members. The members of the joint stock companies have the responsibilities limited to the nominal value of their shares and it is important to know that the investors of this type of company may issue additional shares. A general partnership in Georgia can be incorporated by minimum two partners, who have equal liability for the company’s profits and losses. They both have decisional powers. 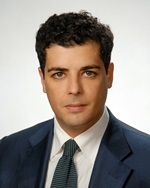 In the case of a limited liability partnership in Georgia it is also necessary to associate at least two partners, with the difference that one will have the quality of a general partner, while the other will be a limited partner. The general partner carries the full responsibility for the company’s debts and incomes, unlike the limited partner who has limited responsibilities in extend of his/her contribution to the company’s capital. Furthermore, foreign investors can operate on the local market through a branch office, which is a type of company that is managed and controlled by the foreign company abroad. In this case, the parent company is held responsible for any debts and financial difficulties related to the branch office registered in Georgia. • the identification documents of the branch’s appointed director and an evidence regarding the payment of the registration fee. How can an investor open a bank account in Georgia? • it is also compulsory to offer a signature sample of the company’s director. What are the main VAT obligations in Georgia? Any company that develops commercial activities in Georgia is required to pay the value added tax (VAT), unless the service or the product provided by the company is exempted from this type of tax. The tax regulations in Georgia stipulate that a local business has to register for VAT purposes once the company’s annual revenues are of minimum GEL 100,000. Are there any tax incentives for Georgian based companies? Yes, companies in Georgia can obtain a set of tax incentives, including for trading matters. It is necessary to know that Georgia benefits from several regions which provide a special tax treatment, known as free zones, more exactly, free industrial zones. Our team of specialists in company registration in Georgia can assist with in-depth advice on how to start a business in the country’s free zones and can provide advice on the types of business activities that are accepted in such special regions. 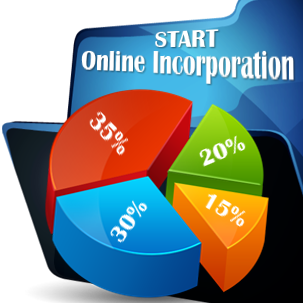 Thus, persons who are interested in starting the procedure of company formation in Georgia can obtain relevant tax deductions if they set up their businesses in the regions of Tbilisi, the capital city, and the cities of Kutaisi and Poti (the latter being a seaport). One of the main advantages of opening a company in Georgia in its free zones refers to the tax exemptions that can be obtained by local and international businesses. For example, in the country’s free zones several taxes do not apply, as it is the case for the corporate income tax or on the taxes on trading; also, companies can benefit from lower value added tax rates. Amongst the types of activities that can be developed in such regions we mention the following: consulting activities, financial activities, manufacturing or construction; our representatives can offer more information on other tax incentives and benefits that can be obtained when conducting a business in these free zones. Who can start a sole trader in Georgia? Another way to start a business in Georgia is by opening a sole trader (known as individual entrepreneur). The sole trader represents the simplest way to open a company in Georgia and it is recommended for small businesses. The main characteristic of the sole trader is that the company is represented by a single founder, who develops a business activity in his or her name. The downsize of the type of business form is given by the fact that the owner of the company is personally responsible with his or her own assets in the situation in which the company has any financial difficulties, as there is no distinction between the owner and the company; the sole trader can also be registered by foreigners. Georgia is situated in a strategic area, connecting Asia to Europe, and this offers the country a competitive advantage - it is seen as a desirable location for foreign investors. The well developed infrastructure helps the import and export of goods all over the world. Georgia is also known for its various reforms made in all the sectors, in its attempt to attract foreign investments. The financial system is encouraging - even though in 2004 there were 21 taxes, the number of them has decreased to only six. The VAT is imposed at a rate of 18%, the corporate tax rate is established at a rate of 15% and dividends distributed by a company are subject to a 5% dividend tax rate. Another reason why the investors are interested in opening companies in Georgia is the simplified registration procedure of a business. The process of registration of a new company doesn’t take longer than two days, as mentioned above, but the entire registration process can take longer, if we consider the registration with the local institutions, obtaining specific business permits and other necessary steps. The Georgian workforce is well trained and the country is situated on the 1st place in the world in the Adult Literacy Rate indicator (with a rate of 100%). The country also benefits from a young workforce and this can provide numerous advantages to foreign businessmen who are seeking to expand on this market. For more details regarding the registration of a company in Georgia, we invite you to contact our specialists in company formation, who can offer further information on any aspect concerning the registration procedure. Investors may also request assistance on the tax regulations applicable to a specific business structure.